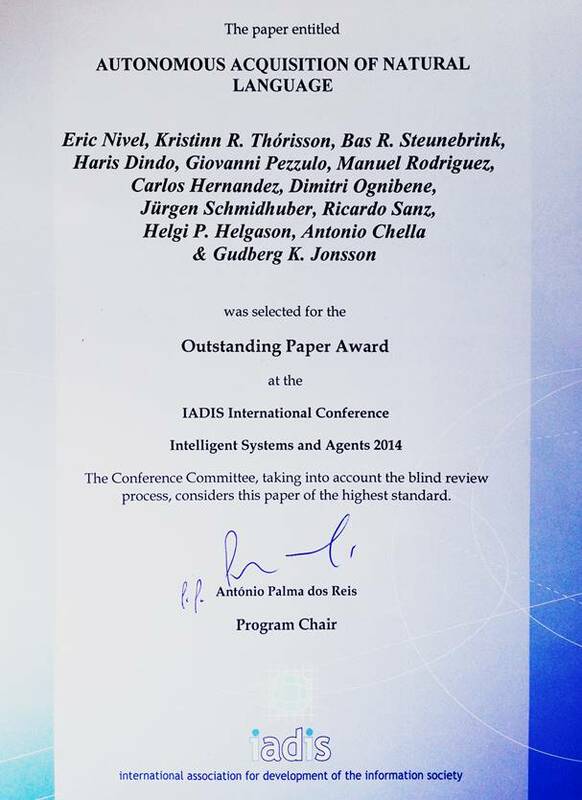 Dr. Kristinn R. Thórisson, Director of IIIM and Associate Professor of Computer Science at Reykjavik University, received the prestigious Outstanding Paper award at the Intelligent Systems & Agents conference in Portugal last month. The paper describes the first automatic system that can learn a complex task by observing how it is performed, entirely without guidance or supervision. This is a new chapter in AI research. The research is the result of the HUMANOBS project, which received a EUR 2 million grant from the European Union in 2009, and strived to develop a system with universal intelligence. 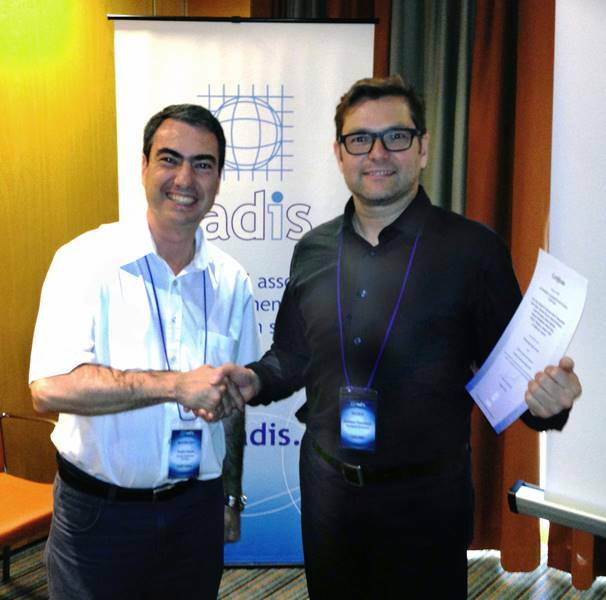 On the occasion of this award, the scientific publication IADIS Journal of Computer Science & Information Systems has offered Dr. Thórisson and his co-authors to prepare the paper for an honorary publication in next year’s publication. Dr. Thórisson and his co-authors describe how the artificially intelligent virtual character S1 learned to conduct a television interview solely by observing two humans doing an interview, without being given any prior information on syntax, or in fact any information at all on how humans perform interviews. After only 20 hours of observation, S1 could conduct an interview with entirely correct sentence structures and correct interpretation of spoken dialogue, all while correctly using hand- and head gestures that correspond to how television hosts behave during interviews. After learning from observation, S1 could take on the role of both interviewer and interviewee. Two other papers detailing other results from this work have received the prestigious Kurzweil award, one in 2012 and another in 2013. With interest in the project increasing, the research team plans to continue working on making their approach, methods, and algorithms available for others to explore and investigate.